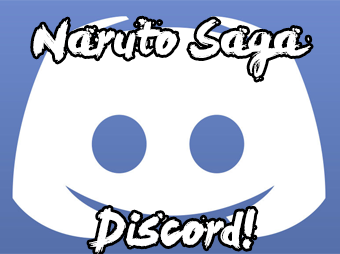 This thread is meant for any shinobi in Kirigakure, as well as any genin from any village that wishes to join. There will be no death, and any fighting must be minimal and consented to between both people. This is suppose to be a fun thread after all. The breeze off the ocean carried the small and taste of salt and the warm sand beneath his feet let him know it was his day off, a day to relax. Kaito typically rogged down this portion of the beach during the mornings, but it was nice to finally get out and not be training, doing missions, or whatever else the village had required of him for the week. To say he looked forward to this one day a week would be an understatement. Clothed in nothing but a dark teal set of swimming trunks and a pair of blue tinted sunglasses, letting his slender but lightly muscled chest and abs show, Kaito secretly hoped some of the cute guys around him were checking him out. Not that he'd openly flirt in such a public location, or welcome some interest either. Still, as he put his hands up, reaching to the clear skies above, Kaito couldn't help but to find himself hoping to see a few friends here today. The beach was fun, but it was better with friends. Kaito had invited a few people he knew, telling them to invite their friends, but he'd also put up a notice at the mission assignment office, advertising free shark steaks and ice cold bubblegum soda to anyone that showed up. He'd really gone all out this time, spending quite a bit of the money he'd saved up over the last month or two, but it would be worth it if he managed to make a couple friends today. After all, making friends was the purpose of today, well, that and to relax a bit. Kaito had already brought everything from his home, he had two dozen shark steaks on ice in a cooler, and enough bubblegum soda to last till night time. If anything, he could always run to the store down the way to pick up some more stuff, but he also had enough snacks to go around. Everything from soy flavored calamari chips, to clam puffs, and even some good old red bean cakes. He was set for the day. Cracking open a bottle of bubblegum soda, Kaito sat back into his beach chair, letting the sounds of the ocean and the children laughing around him get him in a decent chill out mood. Only thing left to do was turn on the wireless radio and he could have himself a one man party, at least until the other people showed up. Despite how hard he'd been training, and everything Kaito had been putting his body through in the last two weeks, he'd managed to really grow as a shinobi compared to where he had been. He was no longer stuck as a genin slaving away at the hospital without any real chance to prove himself as a shinobi of the Hidden Mist. It was a respectable job, he knew that, but it wasn't where he needed to be anymore, and it sure as hell wasn't doing much for his social life. Shifting his feet in the sand as he watched the waves roll in, Kaito actually smiled, it'd been the first time in a long time that he could remember smiling without forcing himself to. After the disappearance of his mother, things in the young genin's life had gotten difficult. He had enough money to live well enough, between what he inherited from his grandmother and the wages he made at the hospital, Kaito was actually rather well off compared to most. Still, it felt good to be happy for a change. A day off. They were so few and far between that even the thought of one seemed foreign. Still, today had been hard earned. Last week had been spent in the woods around Kirigakure training and the past few days had been spent performing tasks for the village. Last night in particular had been exceedingly trying. The young shinobi’s patrol mission had not gone as expect, much to his joy. However, the battle with the thieves had not been as easy as he might have hoped or thought it would be. In fact, the youngster had looked death in the eye, though he wouldn’t admit such a thing even to himself. As such he bore a scar on his neck from where the leader of the three thieves he’d engaged in battle against had cut him - a cut that nearly caused his death. Despite having the ability to heal the wound fully, Koryu had elected to do little more than close it and stop the bleeding. It would serve as a reminder for now that he was still weak; a means to force himself to accept that he’d nearly died though his ego wouldn’t allow him to. All that said, he had managed to make a new friend days prior to his unfortunate encounter. A Konoha shinobi named Sachihiro had shared a meal of ramen with him. So there were shining moments during his week. But today, today was going to be spent relaxing. He deserved a moment. Though Koryu hadn’t actually seen the posting he had heard a couple young genin talking about it in the administration building as he was passing by earlier this morning. It seemed they were discussing the idea of attending in the name of free food. Free food? Well that was more than enough to draw his attention. So, here he was out at the shore line in search of what might fit the description he’d overheard. The task was easy enough considering the set up, not that it was so uncommon for folks to be out on the beach with coolers. Then again, maybe the man in the teal swimming trunks wasn’t who he was looking for at all. Koryu paused for a moment as that thought crossed his mind. It didn’t matter, not really. He adjusted the red beach towel he’d slung over his bare shoulder and fixed the equally red swimming trunks he wore. Had to keep up appearances and all that, never know who might be watching. Not that the boy had time to pursue any young women or the actual desire to as they’d only interfere with his training. But still, he was a sixteen year old boy. He wouldn’t shun any advances if they were to come. He chuckled at himself and started onward. ”So, is this where the party’s at?” Koryu asked with a wide grin once he was sure he was within earshot of Kaito. ”I heard there were shark steaks involved.” Yep, make it known that you’re here for the food because if the food part was a lie to get folks to show up then he was going to turn around and leave. Maybe. There was also the possibility of acquiring some new training partners and persons to test his mettle against. So, maybe he’d stay even if there wasn’t going to be food to stuff his face with. Sachihiro had just finished his most recent mission with a boy he was proud to call an ally, Xiao. The two showed great promise in their strategy building, however their skills were still pretty subpar. Having barely come out of the mission alive, he was looking for a place to wind down. With his nose recently fixed up after it being broken due to some heavy blows from a gang of professional wrestlers, he still had some major bruising on his nose and just below his eyes. Luckily, his wish for rest was properly accommodated when he came across a flyer inviting the local genin’s to a beach get together. He smiled at the notion, how could he not respond to this? His little social heart couldn’t help but answer to the call. He wasn’t sure whether to bring a pair of swimming trunks or just come in his usual clothing. So he decided to bring both and packed his trunks in his traveling bag. He was feeling giddy! Sure a mission was always something to look forwards too, but looking after your mental health was just as. A time to relax and feel like a community amongst the ranks in the land of waves. That would get his mind of the bloodshed he has had to experience. It’s good to let loose and enjoy the more humane qualities. As he exited the administrations building, he quickly ran to a nearby store looking for things to bring. Why come empty handed if the host was going to be the one offering food. He had never had shark steak before, might as well give it a try. The transaction was quick as he knew exactly what he was looking for. He bought a volleyball, a few floaties, some towels, a volleyballe, some folding chairs and some parasols. Just in case a few people came unprepared he also brought an extra bottle of sunscreen. He put on his sun glasses and looked up at the sky, seeing the sun finally being out. It hadn’t been this bright since had moved to Kiri. The sun was shining and he knew that although it would be short lived before the rains would be coming by the following days, so might as well enjoy it while it lasts. He then dashes down the streets with a bag full of freshly bought items and moved down Kiri’s slopes and onto the beach sides. The boy was quick and looking forward to a short vacation. As he happily ran across the sandy beaches he spotted the small gathering with two silver-haired shinobi right in the center. He even recognized one of them as being the Kaguya he had ramen with a while back. He couldn’t help but call out as he slowed down to walking pace, waving his available arm as the other carried the party supplies. He rummaged more through his bag as he placed some folding chairs out in a circles and took out a watermelon “I felt like it would only be proper to bring out some fruit to go along with the shark steaks, no?” He proceeded to take a seat at one of the folding chairs with watermelon in lap. He decapped one of the bubblegum sodas and happily took occasional sips. The boy had made himself comfortable quite fast, bearing no mind to any presented awkwardness he may have exhibited. Kaito was busy remembering the times he'd spent here on this beach with his mother years ago. Watching two small children building a sand castles, he had to hold back the urge to tell the children's mother to stop yelling at them to leave her alone. She had no understanding of what her children would go through once she was gone. The ache in your arms when you want to hug a person that is longer of this world. The sounds of the waves crashing on the shore slowly edged his thoughts away from the children and their disillusive mother. Subconsciously rubbing his toes across the ridges of a seashell in the sand, Kaito turned his attention to a group of young adults playing a game of volleyball not to far from him. It was then he saw the nearly albino teen who appeared to be about his age. Obviously descendant of the Kaguya Clan, Kaito assumed him to be the first genin to arrive to the small gathering. "Sure is, grab a seat, grab a drink, hell if your as hungry as you seem to be, grab two steaks. I cooked them this morning, trust me you want to eat them cold." Kaito respond, hopping up to get his new friend a chair and other amenities. It wasn't to much longer before two girls about their age walked up in bikinis, one was even wearing her headband around her neck, letting Kaito know they were here for the party as well. "Hey there, you must be Kaito," The white haired, pale skinned, and green eyed Kunoichi asked, offering her hand to the wrong guy. Kaito just laughed, her bikini was all white, and other than her forest green eyes and the Hidden Mist headband around her neck, she had no color to her. It was looking at snow, and Kaito had to admit she had a nice body, even for a woman, not that he was ever going to be interested in whatever she had to offer, though perhaps the Kaguya guy might. "My name is Aisu Kurīmu, and no, not like the clan." Aisu said with a gushing grin. It was clear to Kaito she had formed a bit of a crush on the Kaguya clan men already, that or she was one of those clan chaser girls, one of those girls that swears they'll only ever date a guy from one of the prominent clans. Not feeling the need to correct Aisu on mistaking the two of them, Kaito and Koryu, Kaito instead turned to the other girl who raised her eyes and snickered at her friend's antics. This genin had short and spiky black hair, black eyes, and freckles which was odd considering the small amount of sunlight most people from Kirigakure got. "I'm glad everyone was able to come and join me, my name is Kaito," this revelation caused miss spiky hair to giggle at her friend's reddening face. "The food and drinks are over there, your free to just hang about, go swimming, eat whatever you like, or anything else your hearts desire." Kaito offered the three genin. The mysterious spiky haired girl and Kaito let the other two have their space, instead grabbing two chairs and sitting over by the food and drinks so they could chat. The girl that came with him introduced herself as Keria, though she didn't offer a last name of any sort. She'd been holding a large black bag over her shoulder and almost as soon as she sat down in the lounge chair, she pulled out a set of bamboo bongos and bugun drumming up a gentle rhythm to match that of the waves crashing against the shore. Before too long, Kaito noticed a younger boy, maybe between ten to twelve years old walk up to the group, he had a number of beach related items with him, including a volleyball and some floaties. Perhaps he didn't know how to swim, which was kinda adorable to Kaito, who made a mental note to ask the boy and then offer to teach him later. The kid greeted Koryu before handing Kaito some sunblock, aww how conscientious of him. Despite the friendliness of the boy, Kaito noticed he was not from Kirigakure, he could tell by his open nature and various little things about his features, not that he could place his origin. "Welcome to the party, if you get hungry just let me know, and in case you forgot to brink a knife, I have a spare kunai we could use to cut the watermelon." Kaito offered, pulling a kunai out from behind his back and tossing it into the sand about half a meter from the kid. "So how long you been in Kirigakure?" Kaito couldn't help but ask the boy, he wasn't trying to appear unwelcoming, but he was curious who the kid was. As luck would have it Koryu had picked the correct random beach goer. It turned out his assumptions had been correct. Kaito greeted him warmly and confirmed that food in fact was present. This fact brought a wide grin to Koryu’s face. “Great,” He started as he immediately moved toward the cooler that held the shark steaks. Or at least the one he assumed did. He was wrong this time but a drink was quickly pulled from it’s place all the same. He then snatched a steak from its place next. There was no need for utensils or even a plate, whether those things were present or not. Instead Koryu quickly found a seat and sat his drink down in the sand next to him. He then proceeded to tear into the shark steak like some kind of hungry beast. A few bites in he realized how rude he’d been. ”Oh, I’m Koryu. I assume you’re,” He searched his mind for the name he’d overheard. He’d never been to great with names, especially not ones he’d only heard in passing but he was going to give it a shot anyway. “Kiro?” He said in a questioning manner. Fortunately, his mistake was masked by the arrival of a pair of young women. The first of the pair to speak was the young woman with alabaster hair. She offered up a hand assuming that Koryu was the host of todays events. She was wrong but at least now Koryu knew the guys name. He took her hand as he took note of her green eyes. It was a pretty contrast against all the white that adorned her. He didn’t speak, however. Instead he shot a glance in Kaito’s direction. How long should they let this continue, or better yet how embarrassed should they ensure she was when her mistake was revealed? Koryu’s gaze then fell to her accompaniment. The other girl was just as pretty though at first glance she seemed almost a complete opposite of the young woman that had spoken first. The white haired girl continued her greeting, revealing herself be to Aisu Kurīmu, not to be confused with the Aisu clan. Koryu chuckled slightly, yet still didn’t bother to correct the girl even after letting her hand go. He was going to see just how long Kaito was going to allow it. Unfortunately, the mistake was corrected a moment later when Kaito introduced himself. The second girl, Keria, rightfully giggled at her now blushing friend. Shortly afterwards the pair found themselves a seat, perhaps to save Aisu the shame of having to sit to close to the young man she’d just embarrassed herself in front of. The entertainment done for now Koryu returned to stuffing his face full of shark steak only to be interrupted by a familiar voice. Koryu turned his gaze to find that none other than Sachihiro. He smiled at the youngster, pleased to see a familiar face. “Hey, Sachihiro.” He said happily.”Came prepared didn’t you?” He asked rhetorically. It seemed that everyone but Koryu had brought something with them. This put the young man in a sort of a predicament. Though his shame was quickly cast aside. He’d brought himself and that was more than enough, right? His gaze shifted back to the two young ladies that had arrived. The sound of Keria’s drums played against his ears. He didn’t recognize either of them, they’d probably graduated before him. Or maybe were from a different class. It wasn’t until this moment that Koryu realized how few people he actually knew. Ironic that Sachihiro, the boy from what might as well have been the other side of the world just might be his only friend - if he could even count him among that number after having only shared a meal with him once prior. Koryu’s gaze shifted back to the young Konoha shinobi. It was now that he realized the boy was bruised. ”Been training hard, huh?” He asked as he rubbed his neck where his own wound lie as if to indicate he too had been spending the time since they’d last seen each other getting stronger. “Sweet! It’s a pleasure to meet you Kaito!” the boy replied “Though I think I’ll be good for now, we’ll see if we can this later on. For now I’m gonna get one of those shark steaks! Never had one before, I’d like to see what they taste like” he dug a small pit fit for a melon and placed his fruity sphere right in it, a perfect fit as it was obvious it would be going nowhere lest picked up or aggressively pushed off its sandy seat. As the sun bathed down on the shinobi, Sachi couldn’t help but have the need to get into more confortable attire. He took off his vest and the shirt underneath, revealing the skin of his upper torso. A few scars here and there but none too major as to ask ‘how did you get that.’ He stretched out his arms to the sky and let out a long comfortable yawn and turned back to Kaito to answer his question. Provided the answer, the boy soon found himself striking up a few twinges of conversation here and there with Keria and Aisu whenever he found the chance. Happily shaking hands with the two, eager in finding the time to communicate amongst the now party. It sure was becoming quite a get together for these shinobi. Had a stranger come in and picked a fight, there was no doubt they would be no match for the five. Kaito had noticed the slight injury on the boy's face, but hadn't wanted to say anything for fear of offending the child. He still wasn't sure where the boy was from, but at least he hadn't accidentally wandered over here and was a shinobi, despite the disadvantages of whatever village he was from. The was something admirable about that though, being born in a lessor village and finding your way to Kirigakure like a real shinobi. Kaito sometimes wondered why the other villages were allowed to keep disgracing themselves without the leadership of the Mizukage to guide them. "I'm a medic, so if you like I can heal you right up." Kaito offered, moving towards the boy with his melon in the sand. Obviously the child didn't grow up near sand, otherwise he wouldn't have done that to his fruit as the sand would undoubtedly ruin it if someone cut it. One slight breeze and no more watermelon to enjoy. Kaito figured this only cleared the boy of being a Suna refugee. "I don't know what village your from, but in the Hidden Mist, you never have to worry about asking for help, we care about each other's well being here." Kaito offered with a warm grin, hoping to reassure the boy before he placed his hands, glowing with chakra, on his face. It'd only take a few seconds, since they were minor bruises, but Kaito understood that someone unaccustomed to receiving proper medical aid might feel frightened of the process. The feel of the chakra running over his injuries would leave the boy with a sense of numbness and warmth, as his skin was encouraged to regrow where it had been bruised. Blood vessels would repair themselves, and the internal bleeding that had occured would be converted into trace amounts o chakra only to be relocated into aiding Kaito's efforts within the healing process. Using proper medical ninjutsu required a mixture of anatomy, biochemistry, and an advanced understanding of the various chakra natures. One slip up and a medical-nin could cause severe injury, with less experienced medical ninja often doing the most damage. Luckily for Sachihiro, Kaito was an expert in his field, even if he hadn't learned how to use his advanced medical knowledge in jutsu form quite yet. Once finished with that, Kaito noticed that both the foreign child and the Kaguya were enjoying the shark steaks and it looked like some friends of those girls had come over to occupy them. "Sachihiro he said your name was," Kaito paused to point at his fellow Hidden Mist shinobi. "Kiri is a wonderful place to live, are you looking to move here? We have great rehabilitation programs at the academy for those who weren't shown proper training elsewhere, and I'd love to share some of my own jutsu with you sometime." Kaito offered, looking around at all the things the child had brought to the party. It kind of made Kaito feel bad, how was he suppose to understand Sachihiro's need to feel included? "I hope you don't feel like you had to bring all of these things to join us, I would have let you join us without the extra effort." Kaito said chuckling and lightly punching the kid in the shoulder. Kaito had half a mind to offer to repay the boy, but he figured that would have bordered on insulting him, and as a host for a gathering in Kirigakure, Kaito had a responsibility to make sure Sachihiro felt welcome in the country. "Well then, what shall we do first? You guys want to go swimming, we can play beach ball later once the sun goes down a little." Kaito hoped Sachihiro knew how to swim, though he was sure that with this many Kiri shinobi around, someone would save the child before he drowned. Surely though the people from Konoha knew such a basic skill, or at the very least made an effort to teach their children how to swim in case of emergencies. "Oh Koryu, that reminds me, did you want me to take a look at that injury of yours before we go swimming, wouldn't want it to get infected would we?" Kaito truly enjoyed healing and helping people, killing wasn't exactly something he took pleasure in as a shinobi, though he'd never been one to hesitated in his missions. Still, Kaito had become a shinobi out of a need to help others, and a medical-nin because that had seemed like the best option to achieve that goal. It wasn't until his mother went KIA that he had ever felt the desire to go out into the field. It wasn't like he'd never seen combat or killed someone before a few weeks ago, but it had never really been what Kaito had wanted from life. Before everything with his mother, Kaito had been content to study medicine, do research, and work with patients, now though he wanted more out of being a shinobi, it was like something inside his blood calling for him to become greater than he was. This was most certainly the break that the young Kaguya deserved. He was surrounded by friendly faces, some of them quite attractive as well. His eyes wandered around the crowd as he stuffed his face with more of that delicious shark steak. Meanwhile, Sachihiro explained to him where his wounds had coe from. It turned out the young left shinobi was worth the air he breathed. He’d gone on a mission here in Kirigakure and not only survived it but had been successful. The boy was in possession of at least a modicum of strength. Koryu smiled at Sachihiro. ”Nothing wrong with a few broken bones from time to time. What doesn’t kill you can only make you stronger.” That wasn’t entirely true, actually. Then again, as far as Koryu was concerned win, lose, or draw every battle was an opportunity for growth. “Five, huh?” Koryu nodded. ”Niiice.” This was punctuated by another savage bite into his shark steak. He was actually impressed. He wasn’t sure how old Sachihiro was, but he was positive that he was a few years younger at least. Even if he did have help, five opponents was quite a feat. By now Kaito had chimed in as well and Koryu fell silent to focus on what was left of his shark steak. A moment later Kaito was healing Sachihiro’s wounds. Even as he did that more party goers joined the fray. Things were starting to shape up to being quite the gathering. With Kaito’s question about what the group should do next, Koryu rose to his feet. “I’m always down for a good swim.” He was a shinobi of the mist, of course. Though the Kaguya lived further inland, Koryu’s mother often had brought the boy down to the beach. As such Koryu had learned to swim early in life. Koryu glanced in the two ladies that had arrived shortly after him’s direction. He’d already forgotten their names but that didn’t matter. He’d probably forget they even existed tomorrow when he returned to his vigorous training regimine. However, in the moment with his belly full he couldn’t resist the urges of a teenage boy. Somewhere inside him, he was something close to a normal kid. ”Coming with?” He asked with a wide goofy grin. The two giggled at how stupid Koryu looked. The cuteness the former had seen in him diminished, if only slightly. Though, whatever was lost was regained when the young man stood up to reveal the entire of his body; a body fit for a future master of taijutsu. ”Nah, I like it. It’s a reminder that I’m not yet as strong as I need to be.” No where close in fact. No, he wasn’t going to let Kaito rob him of his scar. ”Besides, I hear the ladies like scars. Makes us look more rugged or something like that.” He added with a chuckle. A moment later Koryu was in the ocean, whether anyone joined him or not. He’d end up spending the majority of the festivities there. The water was soothing. It cooled his aching body and seemed to cleanse whatever worries had plagued him lately; not that he was going to admit to himself that he’d been a little more stressed than usual, what with Chuunin Exams so close.